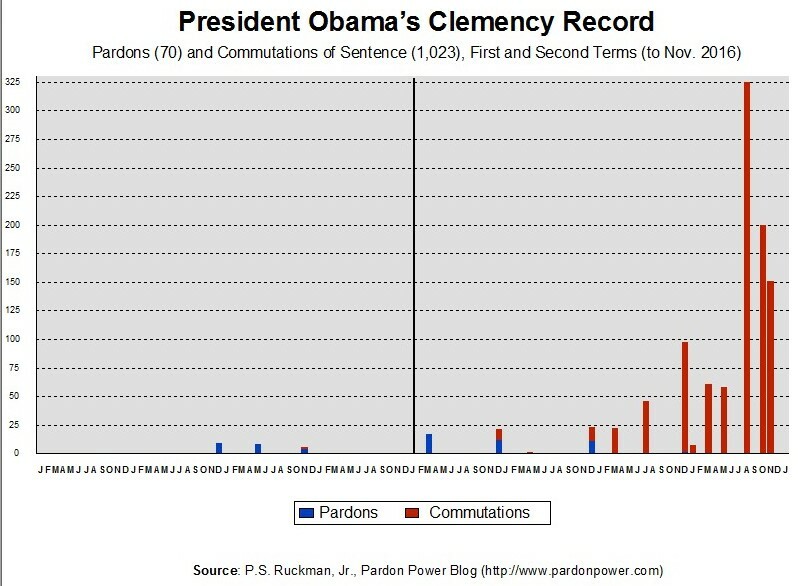 President Obama waited longer than any Democratic president in history to grant the first pardon of his administration. Only one other president, of any party waited longer. 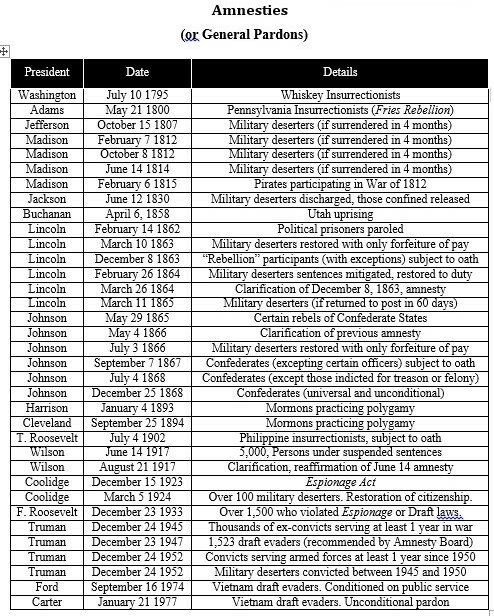 Obama's first term - featuring 22 pardons and 1 commutation of sentence - was the least merciful term since George Washington's first. 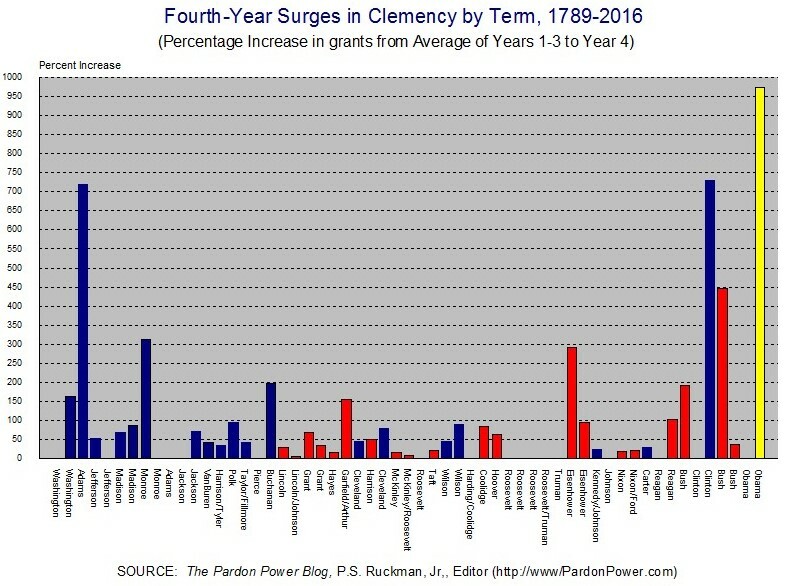 Well into his second term, Obama's DOJ - officially, with great aplomb - called for more clemency applications ... when it was already getting record numbers of them. 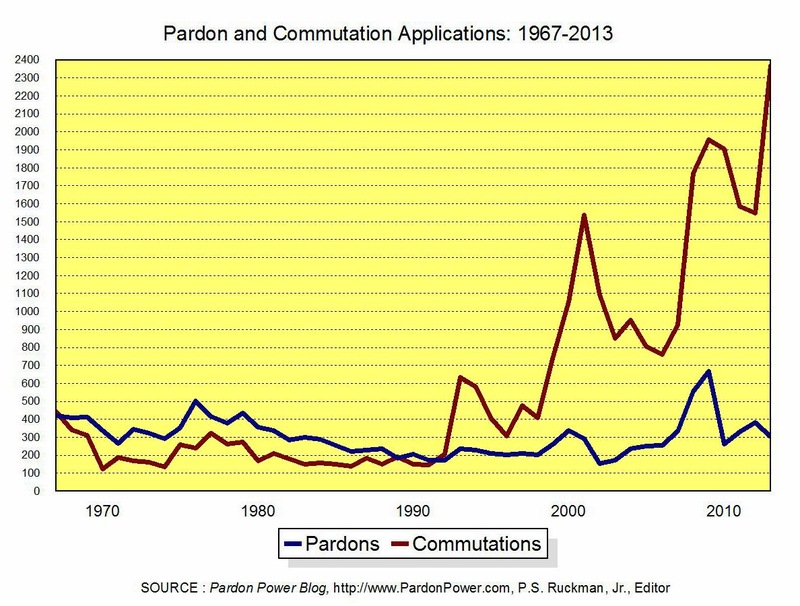 Commutation applications in particular were outsourced to Clemency Project 2014 (an independent, unaccountable, non-transparent collection of lawyers). The Office of the Pardon Attorney - begging for more funds/resources - instituted a new "electronic file system" that actually provides less convenient access to information than when the staff in that office got up from their desks, went for a walk, and hand-wrote notes on outside of file folders with a freaking pencil ! To retrieve information - once so immediately accessible - now requires "an expensive undertaking," if not additional "custom" development of the "system." Moreover, Obama's DOJ has thoroughly trashed the presumption of disclosure for FOIA requests, announced with such fanfare at the beginning of the administration. The new (current) policy is that information once retrieved and shared in a matter of days now requires"some discussion with all of the stakeholders involved in the executive clemency process to see if they all would approve of having that information public." In sum, the OPA has essentially shut down FOIA compliance. They are too busy for that kind of stuff anyway. 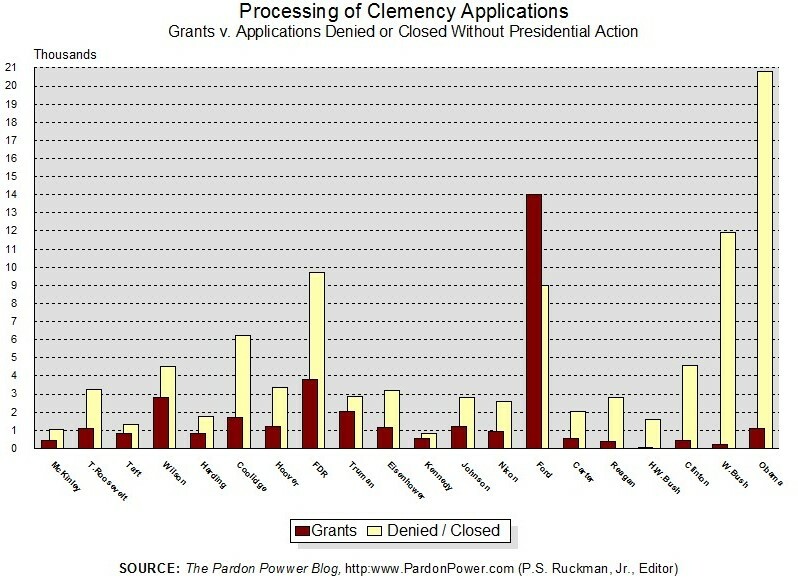 Meanwhile, thousands - literally thousands - of clemency applications have been denied or closed without any action taken by the president. President Obama seemed to discover the pardon power, 6-7 years into his administration and is now engaged in the greatest last-minute clemency surge in American history. Thousands of applications are "pending," while we are assured they will be "addressed." They are going to "get through" them. Yes, "getting through them" is a bragging point for Obama's DOJ. Meanwhile, Obama's Attorney General appears to be of the belief that presidents have never exercised amnesties or group pardons ! We can see Jeffrey Toobin making such a blunder, but the Attorney General of the United States? Breathtaking. Now comes White House counsel, Neil Eggleston, who says "[President Obama's] essentially rejuvenated clemency as a presidential power.” Nonsense.